Web Content Management system (CMS) company in Bhubaneswar Odisha,cms, multilingual cms, customized cms, customized content management system. Content Management System (CMS) gives our clients the freedom that they need. Using this uncomplicated system you can very easily add, delete images and edit text in your web site on the fly. You can also have an unlimited number of pages and a full site-search engine. Many companies find it difficult to keep their web site content as up to date as they would like. Often there are delays getting new content online, the site stagnates and your clients get to see outdated information. It reduces the calls to your web design agency or IT department for changes to the web site. CMS reduces the time required to publish, allowing you to get your content on-line faster. This is a very important issue for any professional web site. Our experienced and knowledgeable team of experts helps you with a cost-effective web design using CMS, where you can enjoy the comfort of unlimited number of web pages and a full-site search engine. Opting for this is the best way to boast of a constantly updated website. With this technologically advanced management system, you can maintain a professional website, all by yourself. Explore the benefits of CMS and create a dynamic website. 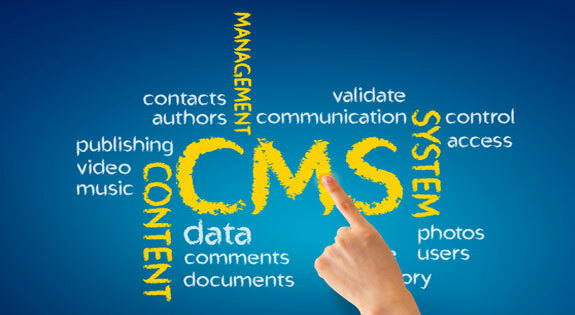 Contact us at +91 9937 066 162 for complete details of CMS for your business or personal websites. Reduce costs & save time by having full, simple CMS control yourself.